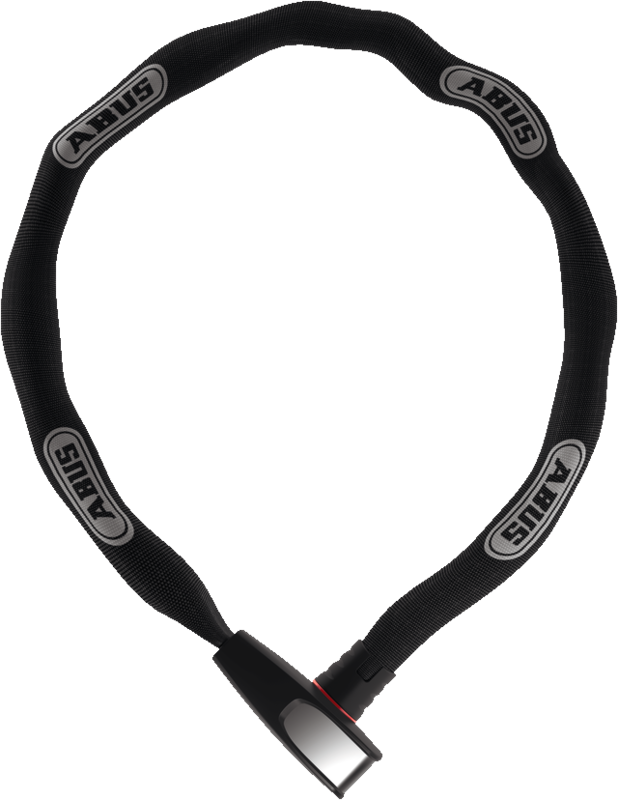 The Steel-O-Chain 8807 chain lock convinces with simple handling, versatile application possibilities and high-quality ABUS protection. Due to their flexibility chain locks are one of the most popular bicycle locks among cyclists. The Steel-O-Chain 8807 convinces with high flexibility and good safety. The biggest advantage of this lock, as with all chain locks, is its flexibility. It can be easily connected to virtually any object, even in the smallest of spaces. Whether bicycle racks or street lamps, the Steel-O-Chain 8807 offers maximum flexibility with a length of up to 110 cm. At the same time it offers high convenience with its automatic cylinder. This means that it locks as soon as the end piece is inserted. Active locking with the key is not necessary.